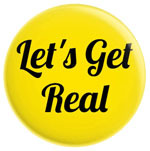 Please complete the following questions to register your interest in participating in Culture24's Let's Get Real 7 collaborative action research project which is exploring building deeper human connection through digital channels for arts and heritage organisations. 2. Which organisation are you from? 3. Please provide a link to your website. 4. What is your role there? 6. What is your contact telephone number? 7. The project participation fee is dependent on the total income of your organisation from all sources in the last reported financial year. According to your last set of documented accounts, which of these income bands does your organisation fall within? 8. The participation fee is also dependent on whether you are a museum that has national status or major regional status per the terms of the NMDC membership? Please indicate whether this is the case. 9. We are providing 2 subsidised places for very small organisations. These are for organisations that have no more than 5 full time paid staff. Please indicate if you qualify and would like to be considered for one of these places. I can confirm my organisation has no more than 5 full time staff and we would like to be considered for a subsidised LGR7 place. 11. Please indicate how ready your organisation is to sign up to this project if accepted?